Barack on cover. 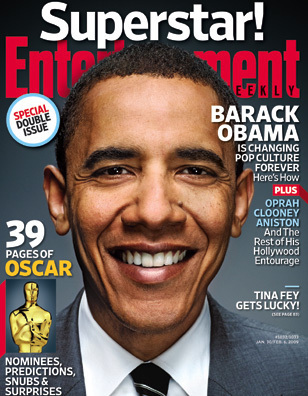 Barack Obama on the cover of the January 30th edition of entertainment weekly. Wallpaper and background images in the Barack Obama club tagged: barack obama president entertainment weekly cover. This Barack Obama photo contains anime, komik, manga, and kartun. There might also be setelan jas untuk bekerja and setelan bisnis.